1. 吉崎　歩: エリテマトーデス類縁疾患 Lupus erythematosus tumidusとはどのような疾患か. 診る・わかる・直す 皮膚科臨床アセット7 皮膚科膠原病診療のすべて 佐藤伸一(編), 中山書店, 東京, 107-109, 2011. 2. 吉崎　歩: 全身性強皮症 最新研究からのインサイト 抗線維化作用が期待される新規治療法. 診る・わかる・直す 皮膚科臨床アセット7 皮膚科膠原病診療のすべて 佐藤伸一(編), 中山書店, 東京, 169-171, 2011. 3. 吉崎　歩: 全身性強皮症 抗IL-6受容体抗体. 診る・わかる・直す 皮膚科臨床アセット7 皮膚科膠原病診療のすべて 佐藤伸一(編), 中山書店, 東京, 338-340, 2011. 4. 吉崎　歩: 膠原病の新規治療法 造血幹細胞移植. 診る・わかる・直す 皮膚科臨床アセット7 皮膚科膠原病診療のすべて 佐藤伸一(編), 中山書店, 東京, 348-350, 2011. 5. 吉崎　歩: 膠原病の新規治療法 免疫グロブリン大量静注療法. 診る・わかる・直す 皮膚科臨床アセット7 皮膚科膠原病診療のすべて 佐藤伸一(編), 中山書店, 東京, 351-353, 2011. 6. 吉崎　歩, 佐藤伸一: 全身性強皮症/膠原病 全身性強皮症. ガイドライン外来診療2015 泉孝英(編), 日経メディカル開発, 東京, 523-525, 2015. 7. 吉崎　歩、佐藤伸一: 特集「ここまで変わった！子供のアレルギー診療」乳幼児への「眠気の少ない」抗ヒスタミン薬選択について. チャイルドヘルス 渋谷紀子(編), 診断と治療社, 東京, 18(9): 52-55, 2015. 8. 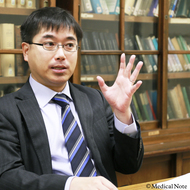 Yoshizaki A, Sato S: Autoimmunity in systemic sclerosis: overview. 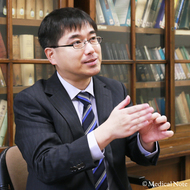 Systemic Sclerosis: Basic and Translational Research Takehara K, et al., Eds. Springer Publishing, Inc., New York. 21-37, 2016. 9. 吉崎　歩: PD-1のメラノーマ以外での役割. WHAT’s NEW in 皮膚科学 2016-2017 宮地良樹(編), メディカルレビュー社, 大阪, 28-29, 2016. 10. 吉崎　歩: 強皮症の基礎と臨床. B細胞をターゲットとした治療. 強皮症の基礎と臨床〜病態の解明から最新の診療まで〜 佐藤伸一(編), 医薬ジャーナル社, 大阪, 232-240, 2016. 11. 吉崎　歩: 強皮症の基礎と臨床. 強皮症と妊娠. 強皮症の基礎と臨床〜病態の解明から最新の診療まで〜 佐藤伸一(編), 医薬ジャーナル社, 大阪, 256-262, 2016. 12. 吉崎　歩: これがlupus erythematosus (LE) Tumidusだ！　皮膚アレルギーフロンティア, 藤本学(編), メディカルレビュー社, 大阪, 15(1): 56, 2017. 1. Yoshizaki A, Nakayama T, Naito S, Sekine I: Expressions of Parathyroid Hormone-Related Protein (PTHrP) and PTH/PTHrP-Receptor (PTH/PTHrP-R) in Gastrointestinal Stromal Tumours(GISTs), Leiomyomas and Schwannomas. Scand J Gastroenterol. 2004; 39(2): 133-137. 2. Nakayama T, Yoshizaki A, Kawahara N, Ohtsuru A, Wen CY, Fukuda E, Nakashima M, Sekine I: Expression of Tie-1 and 2 receptors, and angiopoietin-1, 2 and 4 in gastric carcinoma; immunohistochemical analyses and correlation with clinicopathological factors. Histopathology. 2004; 44(3): 232-239. 3. Nakayama T, Hatachi G, Wen CY, Yoshizaki A, Yamazumi K, Niino D, Sekine I: Expression and significance of Tie-1 and Tie-2 receptors, and angiopoietins-1, 2 and 4 in colorectal adenocarcinoma: Immunohistochemical analysis and correlation with clinicopathological factors. World J Gastroenterol. 2005; 11(7): 964-969. 4. Kusaba T, Nakayama T, Yamazumi K, Yakata Y, Yoshizaki A, Nagayasu T, Sekine I: Expression of p-STAT3 in human colorectal adenocarcinoma and adenoma; correlation with clinicopathological factors. J Clin Pathol. 2005; 58(8): 833-838. 5. Yamazumi K, Nakayama T, Kusaba T, Wen CY, Yoshizaki A, Yakata Y, Nagayasu T, Sekine I: Expression of interleukin-11 and interleukin-11 receptor alpha in human colorectal adenocarcinoma; immunohistochemical analyses and correlation with clinicopathological factors. World J Gastroenterol. 2006; 12(2): 317-321. 6. Nakayama T, Yoshizaki A, Naito S, Wen CY, Alipov G, Yakata Y, Sekine I: Expression of Ets-1 proto-oncoprotein in gastrointestinal stromal tumors, leiomyomas and schwannomas. World J Gastroenterol. 2006; 12(11): 1743-1746. 7. Kusaba T, Nakayama T, Yamazumi K, Yakata Y, Yoshizaki A, Inoue K, Nagayasu T, Sekine I: Activation of STAT3 is a marker of poor prognosis in human colorectal cancer. Oncol Rep. 2006; 15(6): 1445-1451. 8. Yoshizaki A, Nakayama T, Yamazumi K, Yakata Y, Taba M, Sekine I: Expression of interleukin (IL)-11 and IL-11 receptor in human colorectal adenocarcinoma: IL-11 up-regulation of the invasive and proliferative activity of human colorectal carcinoma cells. Int J Oncol. 2006; 29(4): 869-876. 9. Yoshizaki A, Nakayama T, Naito S, Wen CY, Sekine I: Expressions of sonic hedgehog, patched, smoothened and Gli-1 in human intestinal stromal tumors and their correlation with prognosis. World J Gastroenterol. 2006; 12(35): 5687-5691. 10. Nakayama T, Cho YC, Mine Y, Yoshizaki A, Naito S, Wen CY, Sekine I: Expression of vascular endothelial growth factor and its receptors VEGFR-1 and 2 in gastrointestinal stromal tumors, leiomyomas and schwannomas. World J Gastroenterol. 2006; 12(38): 6182-6187. 11. Yakata Y, Nakayama T, Yoshizaki A, Kusaba T, Inoue K, Sekine I: Expression of p-STAT3 in human gastric carcinoma: significant correlation in tumour invasion and prognosis. Int J Oncol. 2007; 30(2): 437-442. 12. Nakayama T, Yoshizaki A, Izumida S, Suehiro T, Miura S, Uemura T, Yakata Y, Shichijo K, Yamashita S, Sekine I: Expression of interleukin-11 (IL-11) and IL-11 receptor alpha in human gastric carcinoma and IL-11 upregulates the invasive activity of human gastric carcinoma cells. Int J Oncol. 2007; 30(4): 825-833. 13. Kamachi M, Aramaki T, Tanimura S, Ichinose K, Fujikawa K, Iwamoto N, Yoshizaki A, Ida H, Kawakami A, Kohno M, Eguchi K: Activation of protein phosphatase causes alternative splicing of tumor necrosis factor-related apoptosis-inducing ligand (TRAIL): Potential effect on immune surveillance. Biochem Biophys Res Commun. 2007; 360(1): 280-285. 14. Nakayama T, Inaba M, Naito S, Mihara Y, Miura S, Taba M, Yoshizaki A, Wen CY, Sekine I: Expression of angiopoietin-1, 2 and 4 and Tie-1 and 2 in gastrointestinal stromal tumor, leiomyoma and schwannoma. World J Gastroenterol. 2007; 13(33): 4473-4479. 15. Nakayama T, Yamazumi K, Uemura T, Yoshizaki A, Yakata Y, Matsuu-Matsuyama M, Shichijo K, Sekine I: X radiation up-regulates the occurrence and the multiplicity of invasive carcinomas in the intestinal tract of Apc(min/+) mice. Radiat Res. 2007; 168(4): 433-439. 16. Yoshizaki A, Iwata Y, Komura K, Ogawa F, Hara T, Muroi E, Takenaka M, Shimizu K, Hasegawa M, Fujimoto M, Tedder TF, Sato S: CD19 regulates skin and lung fibrosis via Toll-like receptor signaling in a model of bleomycin-induced scleroderma. Am J Pathol. 2008; 172(6): 1650-1663. 17. Yoshizaki A, Kawakami A, Aramaki T, Ida H, Eguchi K: Preferential recovery by an intensive initial therapy from hemophagocytic syndrome complicated with adult onset Still’s disease presenting as agranulocytosis and hypercytokinemia. Clin Exp Rheumatol. 2008; 26(2): 383. 18. Yoshizaki A, Iwata Y, Komura K, Hara T, Ogawa F, Muroi E, Takenaka M, Shimizu K, Hasegawa M, Fujimoto M, Sato S: Clinical significance of serum hyaluronan levels in systemic sclerosis: association with disease severity. J Rheumatol. 2008; 35(9): 1825-1829. 19. Shimizu K, Ogawa F, Akiyama Y, Muroi E, Yoshizaki A, Iwata Y, Komura K, Bae S, Sato S: Increased serum levels of N(epsilon)-(hexanoyl)lysine, a new marker of oxidative stress, in systemic sclerosis. J Rheumatol. 2008; 35(11): 2214-2219. 20. Yoshizaki A, Komura K, Iwata Y, Ogawa F, Hara T, Muroi E, Takenaka M, Shimizu K, Hasegawa M, Fujimoto M, Sato S: Clinical significance of serum HMGB-1 and sRAGE levels in systemic sclerosis: association with disease severity. J Clin Immunol. 2009; 29(2): 180-189. 21. Komura K, Yoshizaki A, Kodera M, Iwata Y, Ogawa F, Shimizu K, Wayaku T, Yukami T, Murata M, Hasegawa M, Fujimoto M, Takehara K, Sato S: Increased serum soluble OX40 in patients with systemic sclerosis. J Rheumatol. 2008; 35(12): 2359-2362. 22. Yoshizaki A, Nakayama T, Naito S, Sekine I: Expression patterns of angiopoietin-1, -2, and tie-2 receptor in ulcerative colitis support involvement of the angiopoietin/tie pathway in the progression of ulcerative colitis. Dig Dis Sci. 2009; 54(10): 2094-2099. 23. Tomita H, Iwata Y, Ogawa F, Komura K, Shimizu K, Yoshizaki A, Hara T, Muroi E, Yanaba K, Bae S, Takenaka M, Hasegawa M, Fujimoto M, Sato S: P-selectin glycoprotein ligand-1 contributes to wound healing predominantly as a p-selectin ligand and partly as an e-selectin ligand. J Invest Dermatol. 2009; 129(8): 2059-2067. 24. Iwata Y, Yoshizaki A, Ogawa F, Komura K, Hara T, Muroi E, Takenaka M, Shimizu K, Hasegawa M, Fujimoto M, Takehara K, Sato S: Increased serum pentraxin 3 in patients with systemic sclerosis. J Rheumatol. 2009; 36(5): 976-983. 25. Yanaba K, Yoshizaki A, Muroi E, Hara T, Ogawa F, Usui A, Hasegawa M, Fujimoto M, Takehara K, Sato S: Elevated circulating TWEAK levels in systemic sclerosis: association with lower frequency of pulmonary fibrosis. J Rheumatol. 2009; 36(8): 1657-1662. 26. Komura K, Iwata Y, Ogawa F, Yoshizaki A, Yamaoka T, Akiyama Y, Hara T, Hasegawa M, Fujimoto M, Sato S: Low zone tolerance requires ICAM-1 expression to limit contact hypersensitivity elicitation. J Invest Dermatol. 2009; 129(11): 2661-2667. 27. Iwata Y, Yoshizaki A, Komura K, Shimizu K, Ogawa F, Hara T, Muroi E, Bae S, Takenaka M, Yukami T, Hasegawa M, Fujimoto M, Tomita Y, Tedder TF, Sato S: CD19, a response regulator of B lymphocytes, regulates wound healing through hyaluronan-induced TLR4 signaling. Am J Pathol. 2009; 175(2): 649-660. 28. Yanaba K, Muroi E, Yoshizaki A, Hara T, Ogawa F, Shimizu K, Yozaki M, Hasegawa M, Fujimoto M, Takehara K, Sato S: Serum CXCL16 concentrations correlate with the extent of skin sclerosis in patients with systemic sclerosis. J Rheumatol. 2009; 36(9): 1917-1923. 29. Yoshizaki A, Sato S: Olopatadine hydrochloride inhibits scratching behavior induced by a proteinase-activated receptor 2 agonist in mice. J Dermatol Sci. 2009; 56(2): 136-139. 30. Yanaba K, Yoshizaki A, Muroi E, Hara T, Ogawa F, Shimizu K, Hasegawa M, Fujimoto M, Takehara K, Sato S: CCL13 is a promising diagnostic marker for systemic sclerosis. Br J Dermatol. 2010; 162(2): 332-336. 31. Bae SJ, Shimizu K, Yozaki M, Yamaoka T, Akiyama Y, Yoshizaki A, Muroi E, Hara T, Ogawa F, Sato S: Involvement of L-selectin in contact hypersensitivity responses augmented by auditory stress. Am J Pathol. 2010; 176(1): 187-197. 32. Tomita H, Ogawa F, Hara T, Yanaba K, Iwata Y, Muroi E, Yoshizaki A, Komura K, Takenaka M, Shimizu K, Hasegawa M, Fujimoto M, Sato S. Elevated serum concentrations of triggering receptor expressed on myeloid cells-1 in diffuse cutaneous systemic sclerosis: association with severity of pulmonary fibrosis. J Rheumatol. 2010; 37(4): 787-791. 33. Ogawa A, Yoshizaki A, Yanaba K, Ogawa F, Hara T, Muroi E, Takenaka M, Shimizu K, Hasegawa M, Fujimoto M, Tedder TF, Sato S. The differential role of L-selectin and ICAM-1 in Th1-type and Th2-type contact hypersensitivity. J Invest Dermatol. 2010; 130(6): 1558-1570. 34. Yanaba K, Yoshizaki A (equally first), Muroi E, Hara T, Ogawa F, Shimizu K, Sato S. The proteasome inhibitor bortezomib inhibits T cell-dependent inflammatory responses. J Leukoc Biol. 2010; 88(1): 117-122. 35. Yoshizaki A, Yanaba K, Iwata Y, Komura K, Ogawa F, Takenaka M, Shimizu K, Asano Y, Hasegawa M, Fujimoto M, Sato S. Treatment with rapamycin prevents fibrosis in tight-skin and bleomycin-induced mouse models of systemic sclerosis. Arthritis Rheum. 2010; 62(8): 2476-2487. 36. Koike Y, Muroi E, Yoshizaki A, Ogawa F, Yanaba K, Takenaka M, Shimizu K, Sato S. Autoantibody against surviving in patients with systemic sclerosis. J Rheumatol. 2010; 185(4): 2502-2515. 37. Yoshizaki A, Yanaba K, Iwata Y, Komura K, Ogawa A, Akiyama Y, Muroi E, Hara T, Ogawa F, Takenaka M, Shimizu K, Hasegawa M, Fujimoto M, Tedder TF, Sato S. Cell adhesion molecules regulate fibrotic process via Th1/Th2/Th17 cell balance in a bleomycin-induced scleroderma model. J Immunol. 2010; 185(4): 2502-2515. 38. Muroi E, Hara T, Yanaba K, Ogawa F, Yoshizaki A, Takenaka M, Shimizu K, Sato S. A portable dermatoscope for easy, rapid examination of periungual nailfold capillary changes in patients with systemic sclerosis. Rheumatol Int. 2011; 31(12): 1601-1606. 39. Yoshizaki A, Yanaba K, Iwata Y, Komura K, Ogawa A, Ogawa F, Takenaka M, Shimizu K, Hasegawa M, Fujimoto M, Sato S. Elevated serum interleukin-27 levels in patients with systemic sclerosis: Association with T cell, B cell, and fibroblast activation. Ann Rheum Dis. 2011; 70(1): 194-200. 40. Yanaba K, Yoshizaki A, Muroi E, Ogawa F, Asano Y, Kadono T, Sato S. Serum CCL23 levels are increased in patients with systemic sclerosis. Arch Dermatol Res. 2011; 303(1): 29-34. 41. Yanaba K, Yoshizaki A, Asano Y, Kadono T, Sato S. Serum IL-33 levels are raised in patients with systemic sclerosis: association with extent of skin sclerosis and severity of pulmonary fibrosis. Clin Rheumatol. 2011; 30(6): 825-830. 42. Yanaba K, Yoshizaki A, Asano Y, Kadono T, Tedder TF, Sato S. IL-10-producing regulatory B10 cells inhibit intestinal injury in a mouse model. Am J Pathol. 2011; 178(2): 735-743. 43. Yoshizaki A, Yanaba K, Ogawa A, Iwata Y, Ogawa F, Takenaka M, Shimizu K, Asano Y, Kadono T, Sato S. The specific free radical scavenger edaravone suppresses fibrosis in the bleomycin-induced and tight skin mouse models of systemic sclerosis. Arthritis Rheum. 2011; 63(10): 3086-3097. 44. Yoshizaki A, Yanaba K, Ogawa A, Asano Y, Kadono T, Sato S. Immunization with DNA topoisomerase I and Freund's complete adjuvant induces skin and lung fibrosis and autoimmunity via interleukin-6 signaling. Arthritis Rheum. 2011; 63(11): 3575-3585. 45. Yanaba K, Yoshizaki A, Asano Y, Kadono T, Sato S. Serum interleukin 9 levels are increased in patients with systemic sclerosis: association with lower frequency and severity of pulmonary fibrosis. J Rheumatol. 2011; 38(10): 2193-2197. 46. Yamaoka T, Fujimoto M, Ogawa F, Yoshizaki A, Bae SJ, Muroi E, Komura K, Iwata Y, Akiyama Y, Yanaba K, Shimizu K, Sato S. The roles of P- and E-selectins and P-selectin glycoprotein ligand-1 in primary and metastatic mouse melanomas. J Dermatol Sci. 2011; 64(2): 99-107. 47. Shimizu K, Ogawa F, Yoshizaki A, Akiyama Y, Kuwatsuka Y, Okazaki S, Tomita H, Takenaka M, Sato S. Increased serum levels of soluble CD163 in patients with scleroderma. Clin Rheumatol. 2012; 31(7): 1059-64. 48. Yoshizaki A, Miyagaki T, DiLillo DJ, Matsushita T, Horikawa M, Kountikov EI, Spolski R, Poe JC, Leonard WJ, Tedder TF. Regulatory B cells control T-cell autoimmunity through IL-21-dependent cognate interactions. Nature. 2012; 491(7423): 264-268. 49. DiLillo DJ, Weinberg JB, Yoshizaki A, Horikawa M, Bryant JM, Iwata Y, Matsushita T, Matta KM, Chen Y, Venturi GM, Russo G, Gockerman JP, Moore JO, Diehl LF, Volkheimer AD, Friedman DR, Lanasa MC, Hall RP, Tedder TF. Chronic lymphocytic leukemia and regulatory B cells share IL-10 competence and immunosuppressive function. Leukemia. 2013; 27(1): 170-182. 50. Ogawa A, Shimizu K, Yoshizaki A, Sato S, Kanda Y, Kumagami H, Takahashi H, Usami S. A case of palmoplantar lichen planus in a patient with congenital sensorineural deafness. Clin Exp Dermatol. 2013; 38(1): 30-32. 51. Shimizu K, Ogawa F, Hara T, Yoshizaki A, Muroi E, Yanaba K, Akiyama Y, Yamaoka T, Sato S. Exogenous application of hydrogen sulfide donor attenuates inflammatory reactions through the L-selectin-involved pathway in the cutaneous reverse passive Arthus reaction. J Leukoc Biol. 2013; 93(4): 573-584. 52. Yanaba K, Yoshizaki A, Muroi E, Ogawa F, Shimizu K, Sato S. Increased circulating soluble vascular adhesion protein-1 levels in systemic sclerosis: association with lower frequency and severity of interstitial lung disease. Int J Rheum Dis. 2013; 16(4): 442-447. 53. Kalampokis I, Yoshizaki A, Tedder TF. IL-10-producing regulatory B cells (B10 cells) in autoimmune disease. Arthritis Res Ther. 2013; 15(Suppl 1): S1. 54. Higo T, Miyagaki T, Nakamura F, Shinohara A, Asano H, Abe H, Senda N, Yoshizaki A, Fukayama M, Kurokawa M. Paraneoplastic pemphigus occurring after bendamustine and rituximab therapy for relapsed follicular lymphoma. Ann Hematol. 2015; 94(4): 683-685. 55. 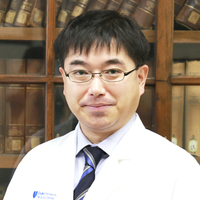 Yoshizaki A, Sato S. Abnormal B lymphocyte activation and function in systemic sclerosis. Ann Dermatol. 2015; 27(1): 1-9. 56. Nakamura K, Yoshizaki A, Takahashi T, Saigusa R, Taniguchi T, Asano Y, Gonoi W, Hinata M, Shinozaki-Ushiku A, Sato S. The first case report of fatal acute pulmonary dysfunction in a systemic sclerosis patient treated with rituximab therapy. Scand J Rheumatol. 2016; 4: 1-2. 57. Nakamura K, Yoshizaki A, Saigusa R, Taniguchi T, Asano Y, Sato S. The efficaty of dantrolene sodium for muscle cramps in patients with localized scleroderma. J Eur Acad Dermatol Venereol. 2015, in press. 58. Saigusa R, Asano Y, Yamashita T, Taniguchi T, Takahashi T, Ichimura Y, Toyama T, Yoshizaki A, Miyagaki T, Sugaya M, Sato S. Fli1 deficiency contributes to the downregulation of endothelial protein C receptor in systemic sclerosis: a possible role in pro-thrombotic condition. Br J Dermatol. 2016; 174(2): 338-347. 59. Yokoyama T, Yoshizaki A, Simon KL, Kirby MR, Anderson SM, Candotti F. Age-Dependent Defects of Regulatory B Cells in Wiskott-Aldrich Syndrome Gene Knockout Mice. PLoS One. 2015; 10(10): e0139729. 60. Miyagawa T, Kadono T, Taniguchi T, Nakamura K, Saigusa R, Yoshizaki A, Miyagaki T, Yamada D, Masui Y, Sato S. Cutaneous apocrine carcinoma of the scrotum: A case with widespread subcutaneous induration. J Dermatol. 2015; 42(8): 815-817, 2015. 61. Yoshizaki A, Taniguchi T, Saigusa R, Fukasawa T, Ebata S, Numajiri H, Nakamura K, Yamashita T, Takahashi T, Toyama T, Asano Y, Tedder TF, Sato S. Nucleosome in patients with systemic sclerosis: possible association with immunological abnormalities via abnormal activation of T and B cells. Ann Rheum Dis. 2016; 75(10): 1858-65. 62. Saigusa R, Asano Y, Taniguchi T, Yamashita T, Ichimura Y, Takahashi T, Toyama T, Yoshizaki A, Sugawara K, Tsuruta D, Taniguchi T, Sato S. Multifaceted contribution of the TLR4-activated IRF5 transcription factor in systemic sclerosis. Proc Natl Acad Sci USA. 2015; 112(49): 15136-15141. 63. Nakamura K, Asano Y, Taniguchi T, Minatsuki S, Inaba T, Maki H, Hatano M, Yamashita T, Saigusa R, Ichimura Y, Takahashi T, TOkyama T, Yoshizaki A, Miyagaki T, Sugaya M, Sato S. Serum levels of IL-18 binding protein isoform; a clinical association with inflammation and pulmonary hypertension in systemic sclerosis. J Dermatol. 2016; 43(8): 912-8. 64. Saigusa R, Asano Y, Nakamura K, Yamashita T, Ichimura Y, Takahashi T, Toyama T, Taniguchi T, Yoshizaki A, Miyazaki M, Tamaki Z, Sato S. Association of anti-RNA polymerase III antibody and silicone breast implants in patients with systemic sclerosis. J Dermatol. 2016; 43(7): 808-10. 65. Yamashita T, Asano Y, Tanighchi T, Nakamura K, Saigusa R, Takahashi T, Ichimura Y, Toyama T, Yoshizaki A, Miyagaki T, Sugaya M, Sato S. A potential contribution of altered cathepsin L expression to the development of dermal fibrosis and casculopathy in systemic sclerosis. Exp Dermatol. 2016; 25(4): 287-292. 66. 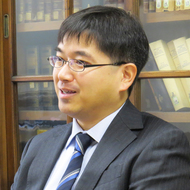 Yoshizaki A. Blymphocytes in systemic sclerosis: Abnormalities and therapeutic targets. J Dermatol. 2016; 43(1): 39-45. 67. Nakao M, Asano Y, Nakamura K, Shida R, Takahashi T, Yoshizaki A, Mitsui A, Shibata S, Araki M, Watanabe R, Ikawa Y, Toyoda C, Oka H, Sato S. The development of chronic inflammatory demyelinating polyneuropathy during adalimumab treatment in a patient with psoriasis vulgaris. Eur J Dermatol. 2016; 26(4): 404-5. 68. Takahashi T, Asano Y, Nakamura K, Yamashita T, Saigusa R, Ichimura Y, Toyama T, Taniguchi T, Yoshizaki A, Tamaki Z, Tada Y, Sugaya M, Kadono T, Sato S. A potential contribution of antimicrobial peptide LL-37 to tissue fibrosis and vasculopathy in systemic sclerosis. Br J Dermatol. 2016; 175(6): 1195-1203. 69. Saigusa R, Asano Y, Nakamura K, Yamashita T, Ichimura Y, Takahashi T, Toyama T, Taniguchi T, Yoshizaki A, Miyazaki M, Tamaki Z, Sato S. Plasma plasmin-α2-plasmin inhibitor complex levels may predict the effect of cyclophosphamide for systemic sclerosis-related interstitial lung disease. Mod Rheumatol. 2016, in press. 70. Yamashita T, Asano Y, Taniguchi T, Nakamura K, Saigusa R, Miura S, Toyama T, Takahashi T, Ichimura Y, Yoshizaki A, Trojanowska M, Sato S. Glycyrrhizin Ameliorates Fibrosis, Vasculopathy, and Inflammation in Animal Models of Systemic Sclerosis. J Invest Dermatol. 2017; 137(3): 631-40. 71. Ebata S, Yoshizaki A, Fukasawa T, Nakamura K, Yamashita T, Miura S, Saigusa R, Ichimura Y, Takahashi T, Hirabayashi M, Taniguchi T, Akamata K, Asano Y, Sato S. Unprecedented success of rituximab therapy for prednisolone-and immunosuppressant-resistant systemic sclerosis-associated interstitial lung disease. Scand J Rheumatol. 2017; 46(3): 247-52. 72. Miyagawa T, Kadono T, Kimura T, Saigusa R, Yoshizaki A, Miyagaki T, Yamada D, Masui Y, Fujita H, Sato S. Pazopanib induced a partial response in a patient with metastatic fibrosarcomatous dermatofibrosarcoma protuberans without genetic translocations resistant to mesna, doxorubicin, ifosfamide and dacarbazine chemotherapy and gemcitabine-docetaxel chemotherapy. J Dermatol. 2017; 44(3): e21-2. 73. Miyagaki T, Sugaya M, Oka T, Takahashi N, Kawaguchi M, Suga H, Fujita H, Yoshizaki A, Asano Y, Sato S. Placental Growth Factor and Vascular Endothelial Growth Factor Together Regulate Tumour Progression via Increased Vasculature in Cutaneous T Cell Lymphoma. Acta Derm Venereol. 2017; 97(5): 586-92. 74. Takahashi T, Asano Y, Sugawara K, Yamashita T, Nakamura K, Saigusa R, Ichimura Y, Toyama T, Taniguchi T, Akamata K, Noda S, Yoshizaki A, Tsuruta D, Trojanowska M, Sato S. Epithelial Fli1 deficiency drives systemic autoimmunity and fibrosis: Possible roles in scleroderma. J Exp Med. 2017; 214(4): 1129-51. 75. Taniguchi T, Asano Y, Fukasawa T, Yoshizaki A, Sato S. Critical contribution of the interleukin-6/signal transducer and activator of transcription 3 axis to vasculopathy associated with systemic sclerosis. J Dermatol. 2017, in press. 76. Toyama T, Asano Y, Miyagawa T, Nakamura K, Hirabayashi M, Yamashita T, Saigusa R, Miura S, Ichimura Y, Takahashi T, Taniguchi T, Yoshizaki A, Sato S. The impact of transcriptional factor Fli1 deficiency on the regulation of angiogenesis. Exp Dermatol. 2017, in press. 77. Takahashi T, Asano Y, Taniguchi T, Yoshizaki A, Sato S. Serum LL-37 levels correlate with the efficacy of i.v. cyclophosphamide pulse for skin sclerosis and interstitial lung disease in systemic sclerosis. J Dermatol. 2017; 44(4): 468-9. 78. Lin L, Mawatari K, Morikawa K, Pihosh Y, Yoshizaki A, Kitamori T. Micro/extended-nano sampling interface from a living single cell. Analyst. 2017; 142(10): 1689-96. 79. Miyagawa T, Asano Y, de Mestier Y, Saigusa R, Taniguchi T, Yamashita T, Nakamura K, Hirabayashi M, Miura S, Ichimura Y, Takahashi T, Yoshizaki A, Miyagaki T, Sugaya M, Sato S. Serum H-ficolin levels: Clinical association with interstitial lung disease in patients with systemic sclerosis. J Dermatol. 2017, in press. 80. Taniguchi T, Asano Y, Nakamura K, Yamashita T, Saigusa R, Ichimura Y, Takahashi T, Toyama T, Yoshizaki A, Sato S. Fli1 Deficiency Induces CXCL6 Expression in Dermal Fibroblasts and Endothelial Cells, Contributing to the Development of Fibrosis and Vasculopathy in Systemic Sclerosis. J Rheumatol. 2017, in press. 81. Saigusa R, Asano Y, Nakamura K, Hirabayashi M, Miura S, Yamashita T, Taniguchi T, Ichimura Y, Takahashi T, Yoshizaki A, Miyagaki T, Sugaya M, Sato S. Systemic sclerosis dermal fibroblasts suppress Th1 cytokine production via galectin-9 overproduction due to Fli1 deficiency. J Invest Dermatol. 2017, in press. 82. Fukasawa T, Yoshizaki A, Ebata S, Nakamura K, Saigusa R, Miura S, Yamashita T, Hirabayashi M, Ichimura Y, Taniguchi T, Asano Y, Shimizu H, Kazoe Y, Mawatari K, Kitamori T, Sato S. Soluble form of PD-1 and PD-L2 contributes to disease severity and progression in systemic sclerosis. Arthritis Rheumatol. 2017, in press. 83. Takahashi T, Asano Y, Yamashita T, Nakamura K, Saigusa R, Miura S, Ichimura Y, Toyama T, Hirabayashi M, Taniguchi T, Yoshizaki A, Sato S. A potential contribution of psoriasin to vascular and epithelial abnormalities and inflammation in systemic sclerosis. J Eur Acad Dermatol Venereol. 2017, in press. 84. 吉崎　歩、岩田洋平、小村一浩、小川文秀、佐藤伸一: マウス接触性皮膚炎においてロラタジンはPSGL-1の機能を抑制する. 臨牀と研究 85(12): 1755-1759, 2008. 85. 池原　進、室井栄治、穐山雄一郎、吉崎　歩、佐藤伸一: 分子標的治療薬ソラフェニブによる手足症候群の5例 日本皮膚科学会誌 2008; 119(6): 1091-1095. 86. 小川麻子、吉崎　歩、飯塚　大、竹中　基、佐藤伸一、西本勝太郎: スポロトリコーシスの2例ー長崎地方における症例の治療効果の検討ー 皮膚科の臨床 2008; 52(7):947-951. 87. 吉崎　歩、佐藤伸一: ベポタスチンベシル酸塩は一酸化炭素供与体によって誘発される掻痒行動を抑制する. 臨牀と研究 86(6): 759-762, 2009. 89. 吉崎　歩、佐藤伸一: 自己免疫疾患に伴う皮膚病変 強皮症における皮膚硬化の免疫学的病態. リウマチ科 41(2): 143-151, 2009. 91. 小川麻子、吉崎　歩、室井栄治、小川文秀、佐藤伸一: Watermelon stomachを生じた全身性強皮症の2例 日本皮膚科学会誌 2010; 120(7): 1491-1495. 92. 吉崎　歩、穐山雄一郎、簗場広一、小川麻子、室井栄治、小川文秀、佐藤伸一: 全身性強皮症合併間質性肺炎に対するシクロホスファミドパルス療法後の維持療法としてミゾリビンを用いた2例 日本皮膚科学会誌 2010; 120(8): 1659-1664. 93. 吉崎麻子、吉崎　歩、穐山雄一郎、竹中　基、佐藤伸一、西本勝太郎: 下腿に発症したMycobacterium marinum感染症の1例 西日本皮膚科 2011; 73(2): 162-165. 94. 吉崎麻子、吉崎　歩、室井栄治、小川文秀、佐藤伸一: 抗RNAポリメラーゼ抗体陽性全身性強皮症に伴った指端壊疽の1例 西日本皮膚科 2011; 73(3): 221-224. 95. 吉崎麻子、吉崎　歩、鍬塚　大、竹中　基、西本勝太郎、宇谷厚志: 小児の頸部に生じたスポロトリコーシスの1例 日本小児皮膚科学会雑誌 2011; 30(1): 55-57. 96. 諫見有紀、吉崎　歩、佐藤伸一: CPNと診断しうるPAN 皮膚病診療2017; 39(4): 385-8. 97. 吉崎　歩、佐藤伸一: 強皮症の病態形成における活性酸素の役割. リウマチ科 43(3): 302-308, 2010. 98. 簗場広一、吉崎　歩、佐藤伸一: ブレオマイシン誘発強皮症モデル研究の進歩. リウマチ科 46(3): 268-275, 2011. 99. 吉崎　歩: 疾患からみたサイトカイン. 第9回 IL-22. 分子リウマチ治療 5(1): 36-39, 2012. 100. 吉崎　歩、浅野善英、簗場広一、佐藤伸一: ラパマイシンによる創傷治癒遅延と細胞増殖因子の効果について Delayed wound healing by treatment of Rapamycin and the effect of growth factors. 皮膚の科学 11(suppl.17): 39-44, 2012. 101. 吉崎　歩: 制御性B細胞. Keynote R･A 2: 128-133, 2014. 102. 吉崎　歩、Tedder TF: 制御性B細胞の分化誘導因子と作用機序に関する検討　IL-21 induces regulatory B cell differentiation and immunosuppressive effect through cognate interaction with T cells Jpn. J. Clin. Immunol. 38(1): 57-64, 2015. 103. 吉崎　歩、佐藤伸一: 新たな難病対策に向けて-診断基準、重症度分類 強皮症. リウマチ科 54(1): 29-33, 2015. 104. 吉崎　歩: アトピー性皮膚炎Update; アトピー性皮膚炎に対する生物学的製剤治療. 医学のあゆみ 256(1): 107-12, 2015. 105. 吉崎　歩: 皮膚硬化をきたす疾患 限局性強皮症. Visual Dermatology 長谷川稔(編), 秀潤社, 東京, 15(1): 44-45, 2015. 106. 吉崎　歩: 乾癬の病態と治療: 最新の進歩 関節症性乾癬の診断と治療. Pharma Medica 佐藤伸一(編), メディカルレビュー社, 大阪, 33(9): 23-26, 2015. 107. 吉崎　歩: B細胞を中心とした全身性強皮症における免疫学的異常と治療戦略 B cell abnormalities and therapeutic strategies in systemic sclerosis Jpn. J. Clin. Immunol. 39(3): 197-206, 2016.